If you’re looking for a box mod, you can spend up to $200 or more on one. However, if you can exactly afford several hundred dollars on a vaporizer, there are still plenty of options for a cheap box mods for sale under $50 that doesn’t sacrifice quality. You aren’t getting an overwhelming amount of power with this box mod, but it’s still an impressively functioning mod for the price. It does have variable voltage and offers low voltage protection. This is a great vaporizer for the beginner who wants to play around with mods. This is another mod that is good for a beginner vaper. It doesn’t pack and overly powerful punch but it’s just enough to give you a different experience. This box mod sits right under the $50 price point and has one of the more powerful wattage offerings. Users agree that this mod offers affordability and power while including sub-ohm vaping capabilities. Sigelei is one of the most popular brand of box mods. You can find a lot of more powerful mods such as the Sigelei 150W and the Sigelei 100w mods made by Sigelei. They’re known for their clean, sleek design and the quality of their products. The new Sigelei 75 watt features full temperature control and gives you the same quality that Sigelei is known for at a more affordable price point. This is one of the newest mods to be released and is definitely one to consider. Another reliable brand, iPV delivers great quality mods without you needing to break the bank. This isn’t the right choice for experienced vapers. But if you’re looking to just get into the box mod scene without making much of a financial investment right off the bat, then definitely consider the iPV Mini. Whether you’re looking to upgrade your current box mod, or graduate into the world of e-cig mods, there are a few things that you need to consider. Buying a box-mod is more about what your personal preferences are and what you want to get out of your vaping session. We’re going to cover some of the key features in box mods so that you can make the most informed decision when upgrading your vape. First you should know the difference between e-cig box mods and mechanical mods. A box mod is also known as an APV, Advanced Personal Vaporizer. An APV enables you to customize your mod by increasing the wattage or power that your vaporizer operates it. All of the modifications are regulated, that is protected by a smart chip that controls the amount of power to a degree. While you have the discretion of how much power your vaporizer uses, the smart chip makes sure you don’t over power it. A mechanical mod, on the other hand is an unregulated device. The power is controlled by the battery strength. A full battery means you get high voltage, a low battery means you have low voltage. People with mechanical mods, unless they’re experienced users very often seize their battery by overvaping when there is a low battery. While it gives you more control, it also gives you much more of a risk of injury or misuse. The safety features alone make e-cig box mods the better choice for someone who is just starting off in the world of mods. If you’re looking for increased battery life over your traditional e-cig, a box mod will do the trick. 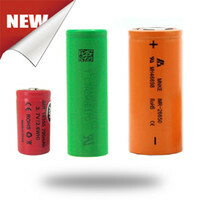 Most of them have higher powered and longer lived batteries and the batteries are rechargeable. This is much more convenient that some of the e-cigarettes that have disposable parts. There is also a feature that many box mods have called “pass-through” which enables you to plug your vape in to charge and still use it as it charges. E-Cig mods enable you to fine-tune your experience by buying vapes with different voltage and wattage options. Beginner vapers might not know the difference between voltage and wattage. You’re not alone! Voltage controls how hot your vaping liquid gets when you use it. A higher heat results in a warmer vape and increased flavor. A lot of e-cig mods will come with variable voltage meaning that you can try out a few different levels of voltage to see where your ideal vaping level is. There is another feature called variable wattage. Thing about an air conditioning filter. After a while of use, the filter gets dirty and your air conditioner has to work overtime, resulting in higher bills. The same thing happens within the coils of your vaporizer. If the coils get dirty, you have to use more power, to get the same effect, causing you to lose battery much more quickly. Variable wattage allows you to set the device to whatever wattage you’re comfortable at vaping at, and if the device detects that your coils are clogged, it will adjust the voltage automatically to compensate. You can buy devices that have both variable voltage and variable wattage, but some e-cig mods don’t have both features, so make sure you’re checking before you buy! If you like to switch up your atomizers, then you definitely want to make sure you look into the threading capability of your next e-cig mod. It’s almost like buying accessories for iPhone VS Android. There are some e-cig mods that only allow for eGo. Others only allow you to use 510 mods. The best e-cig mods allow you to switch out for both. Buying an e-Cig mod is similar to buying a new car. You can customize it however you’d like and choose between different features. Some people go for functionality and convenience while others are more interested in safety. Everyone has different priorities and interests when it comes to customizing their vape experience, so it’s worth your time to research before you invest money into your next box mod. Above all, make sure you’re enjoying your experience without sacrificing safety. Happy Vaping!